I usually don’t go to buy white shoes, but few months ago I fell in love for white shoes. Why? Well, An all black look with white shoes – whether that be sneakers, heels or flats has become sort of a go to look of a positive me. Trying to look fashionable but comfortable usually is an obstacle for many of us. So imagine the fashion possibilities which can fit with them, and when everyone complains about their painful feet at the end of the day, you won’t be suffering at all! When I picked up these white Nike Son Of the Force, I didn’t think that they will be my feet saver. Nike Son Of the Force the younger brother of the iconic Air Force. 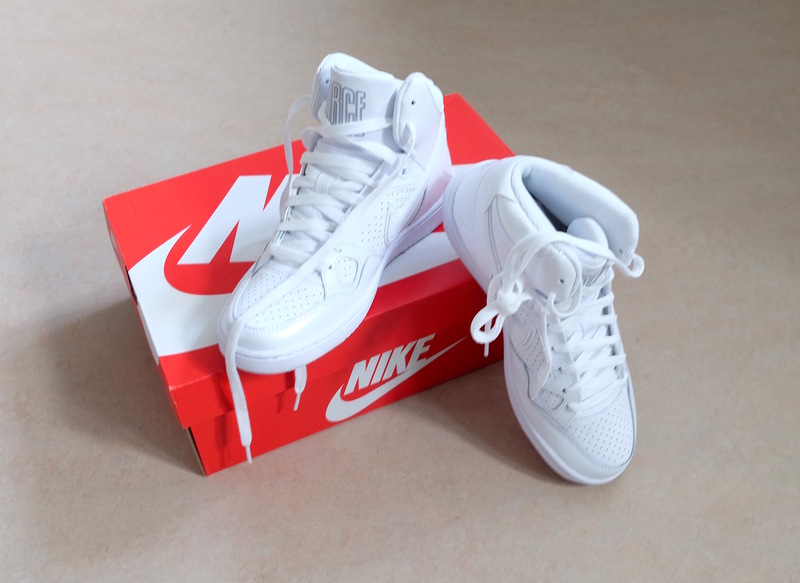 Fashionable sneaker silhouette in pure white colour. Correct: the “son” of the Air Force 1. I think they’re really cool, because you can see this model very little and it is at least as cool and clean as his dad, plus it is affordable. Awwwww the classic basketball inspired low-top silhouette brings sporty style. The upper features a combination of leathers, synthetic leathers and textiles. Next Spreading More Birthday Love!! !